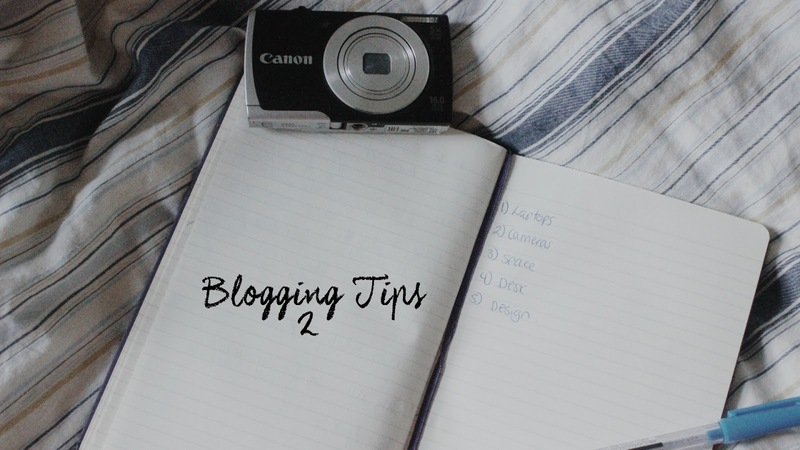 A while back I did a post about a few simple blogging tips and tricks for beginner bloggers and it seemed to go down a treat. I felt like doing a part two but a more techy 'I would like ALL these things please' type post. I am one of the few bloggers that doesn't own a macbook. I've personally just never been able to afford one because WHO HAS ALMOST A GRAND TO SPEND ON A LAPTOP? Hopefully when I win the lottery I can fix this. That being said you don't need a fancy schamcy laptop to be able to blog and vlog. Work with what you got. I've been searching for a newer laptop as the one I use now is on it's last legs. Let's be honest, we've all been eyeing up that Canon G7X haven't we? I currently use a cheap and cheerful powershot that I got off amazon for around £60 (as well as my 600D). It's done a good job however I feel it's time to move on. *The Panasonic range appealed to me as they are on the cheaper side yet still good equipment to have in your blogging inventory. Not only do they appear to take great photos, which would be perfect for outfit posts but good video quality for all your vlogging needs. Okay this one is a little weird to include but let's just go with it. Not only do you need a good working environment but having space makes taking photos so much easier. So maybe have a quick spritz of your room or wherever you shoot your photos to optimize your space. Following on from the space thing, I really wish I had a desk. I don't feel productive when I work from my bed...if anything it makes me just want to doze off in it and not do anything but sleep! Ikea is great for cheapish office equipment and there's a few on there I wouldn't mind having. I mean who doesn't want the pinterest blogger bedroom office? I think it's always important to challenge yourself creatively. There is quite a standard way of blog photos being presented so why not try something new e.g. typography or lettering. This will not only will you learn a new skill but it will make your photos identifiable and more appealing to your reader. For example the main photo I used in this post. There are thousands upon thousands of tutorials out there to learn from. So there's a few tips I hope you find useful as well as a mini wishlist. What are your thoughts? *This is in collaboration with Panasonic. I will never include products I wouldn't use myself or didn't fit with TrudyJohanna. One day we will have the office of our dreams. I don't earn enough either...damn you apple! I don't own a MacBook either however I wish I did! My Macbook is getting old now! As I use it for work as well as blogging I could justify buying it - otherwise it would never happen. I got it when I was a student and used my discount!